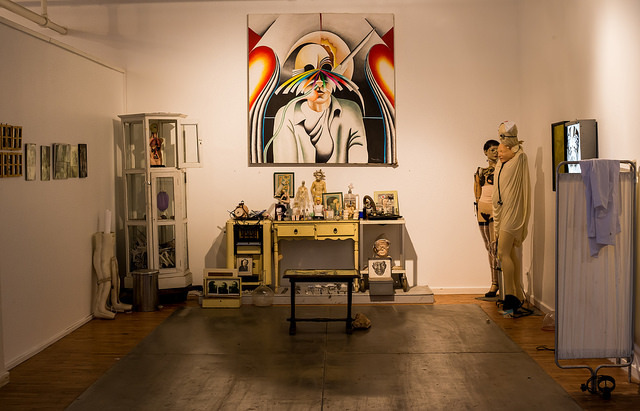 Chicago artist Marcos Raya has a long, established career and a varied practice, with topics that range from futurism and surrealism, to social, sexual and political commentary. In this solo exhibition, the scope of Raya’s work is narrowed to highlight some of the most poignant and resonate subjects that he explores. Raya regularly includes his own image and autobiography into his work, including some of the darker experiences from his life and the world around him. The artist approaches issues like alcoholism, illness, war, poverty and racism with understanding, criticality and astonishing insight, also imbuing these grim topics with a unique combination of wit, absurdity and strangeness. Born in Mexico, Marcos Raya has become an inextricable part of Chicago’s artistic landscape. Known in the 1970s and 1980s as a prominent Pilsen muralist, Raya has long been active both personally and artistically in social and political issues; these topics continue to permeate his studio practice of painting, collage and found object works. The artist studied at Windsor Mountain Preparatory School in Lenox, MA. 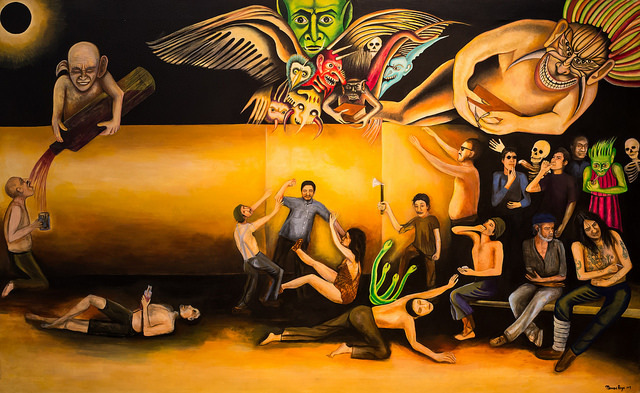 Raya has exhibited widely throughout the country and internationally, including such venues as Museum of Modern Art in Mexico City, Mexican Museum in San Francisco, the National Museum of Mexican Art in Chicago, the Chicago Cultural Center, Carl Hammer Gallery in Chicago, and the Museum of Contemporary Art Chicago. 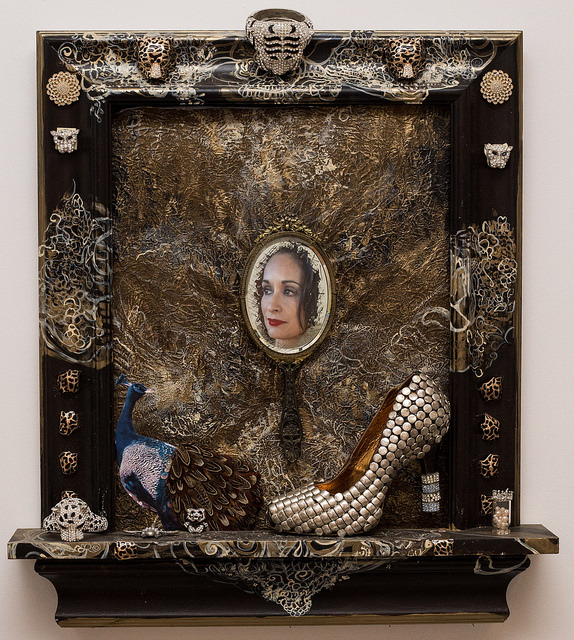 Raya’s work is in the permanent collections of the MCA Chicago, the National Museum of Mexican Art, and the Smart Museum at the University of Chicago. Raya’s murals can be seen on the streets of Pilsen to this day.